I put Turmeric in my Smoothie almost everyday, So ever since I saw this drink listed at G & B menu, I was intrigued. I asked the girl behind the counter if it was a latte? She rudely said no and pointed to the printed menu describing the drink. 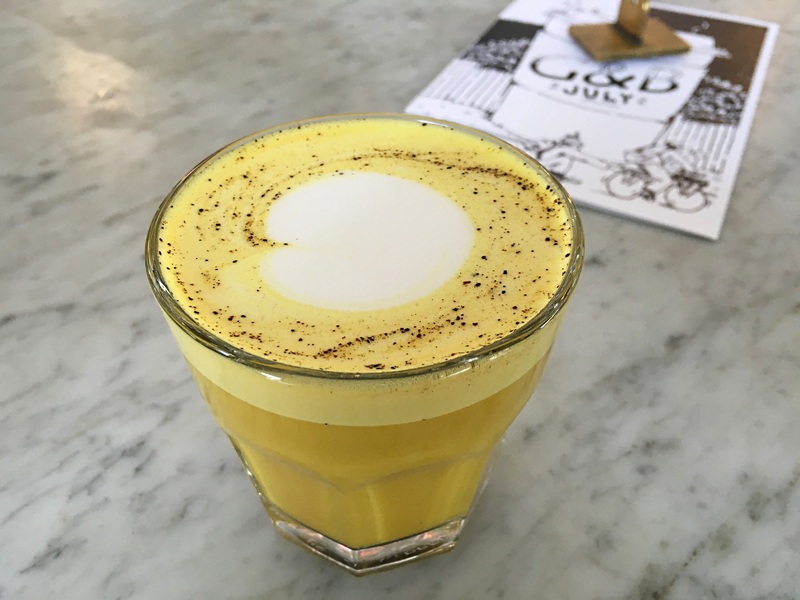 It was basically a mixture of turmeric, ginger, honey, Black pepper and their house made almond-macadamia nut milk. You had a choice of hot or iced. I picked hot. It was good but I don’t know if it was worth the $5 price tag. I have made a almond milk version at home myself. This is my new favorite bread. 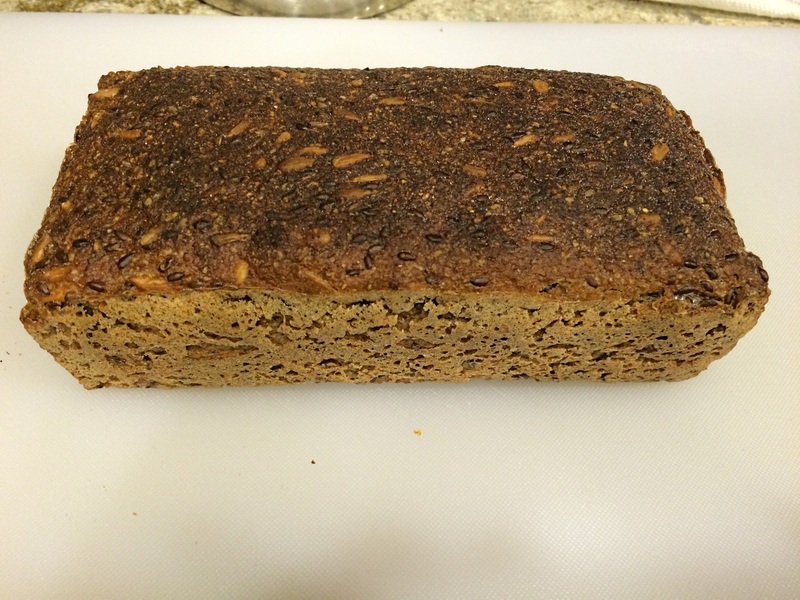 It is a mix of organic pumpernickel rye meal, organic wheat flour, organic cracked rye, organic sunflower seeds, organic flax seeds, organic rye sourdough, sea salt, yeast. It was very nutty and dense with a great sour flavor, just the way I like it. I just wish it came in a larger size, since going to the Grand central Market is not convenient. We also had coffee from the G&B. The beans were from Ethiopia and it had a nice citrus flavor and not too acidic.